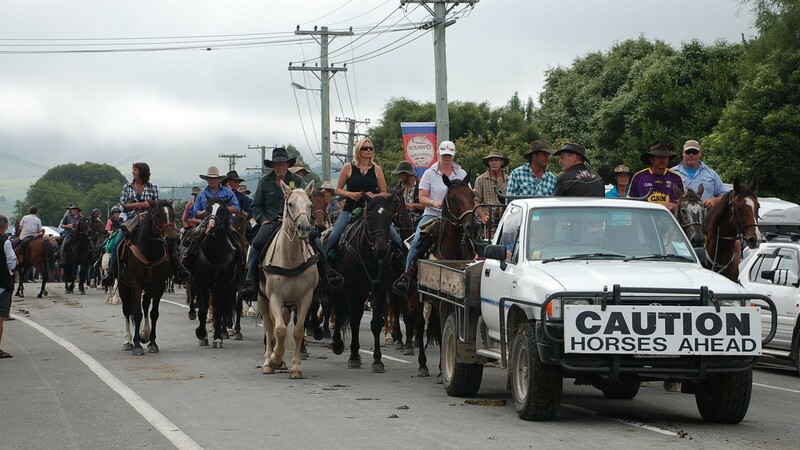 I’ve heard a lot about the cavalcade but I’ve never been at the destination to see this amazing event. 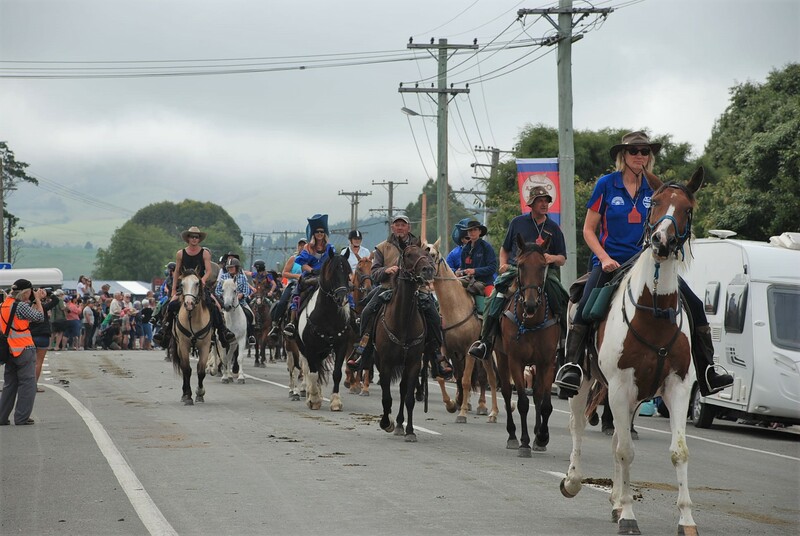 Owaka was the destination for the Goldfields Cavalcade 2018 with an estimated 550 participants taking part. 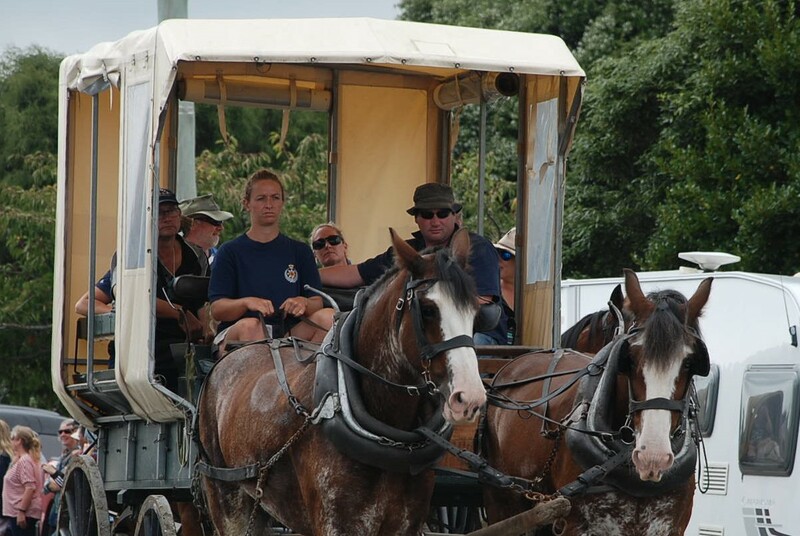 There was a great market at the rugby grounds before and after the parade with lots of interesting stalls and food, the locals certainly put on a good event with something for everyone. 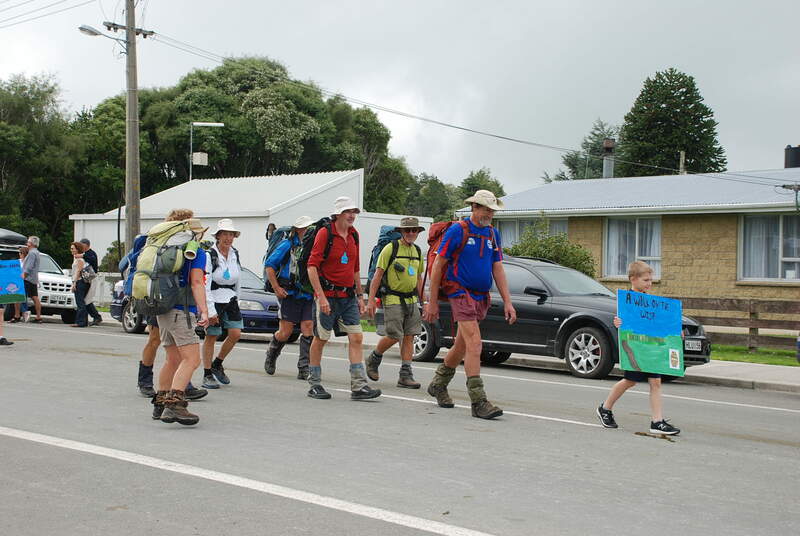 There were several trails all ending up in Owaka. 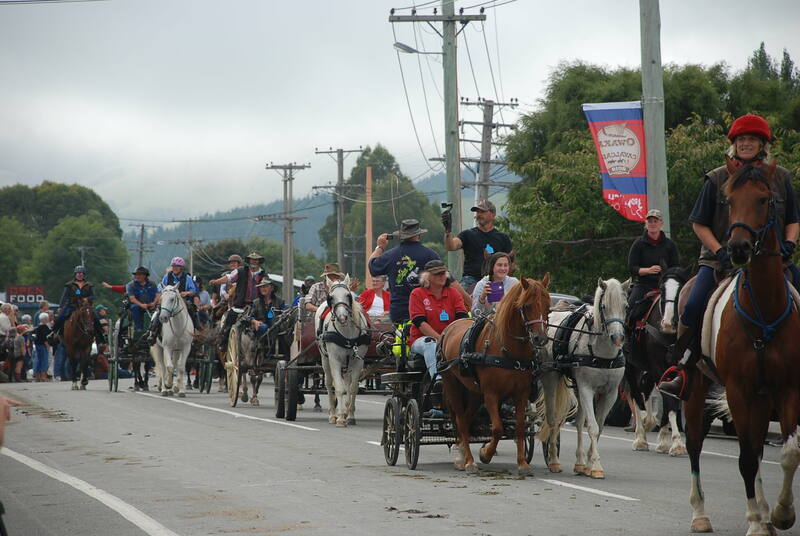 People come from all over New Zealand and the world to take part in the Goldfields Cavalcade and watch the participants come into town for the parade. 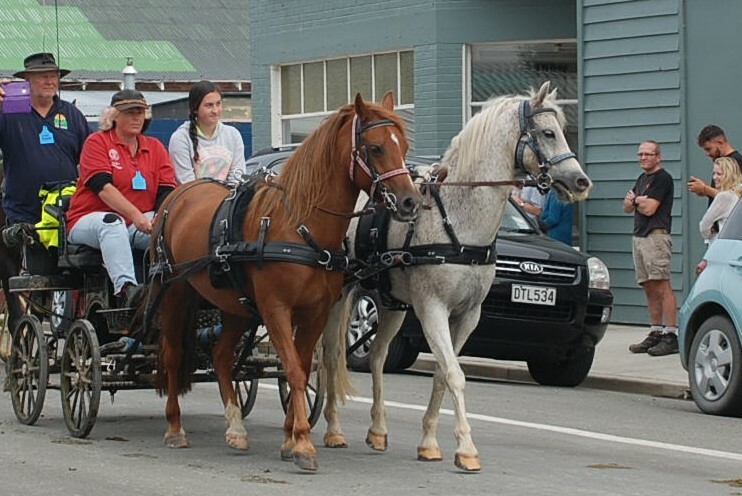 The first cavalcade, in 1991, re-enacted the opening of the Dunstan Trail and the historic journey of Cobb & Co. Coach’s from Dunedin to the Dunstan Goldfields, via the Dunstan Trail. 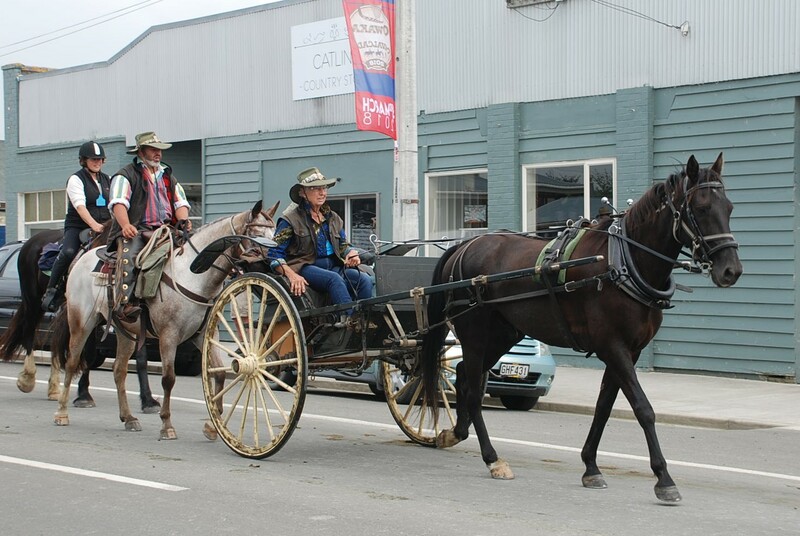 The first Cobb & Co. Coach left the Provincial Hotel in Dunedin on November 22, 1862. 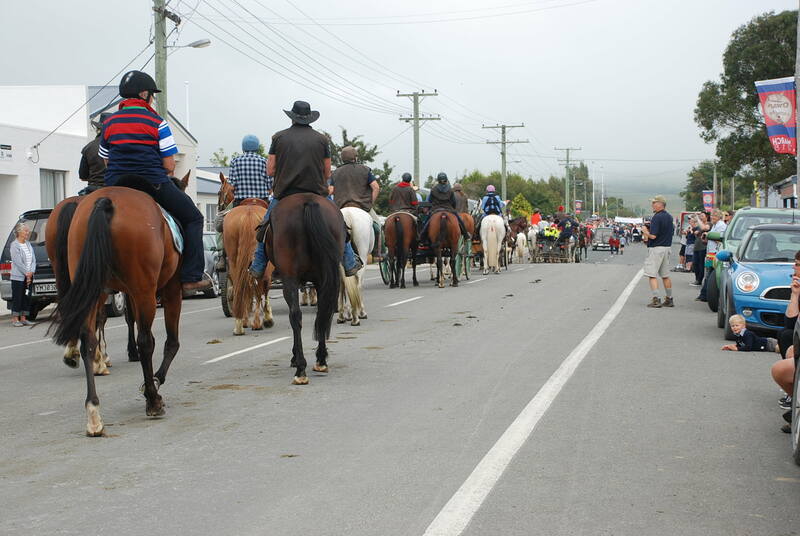 The annual cavalcades have been run since 1991, the destination, or host town, changes every year. 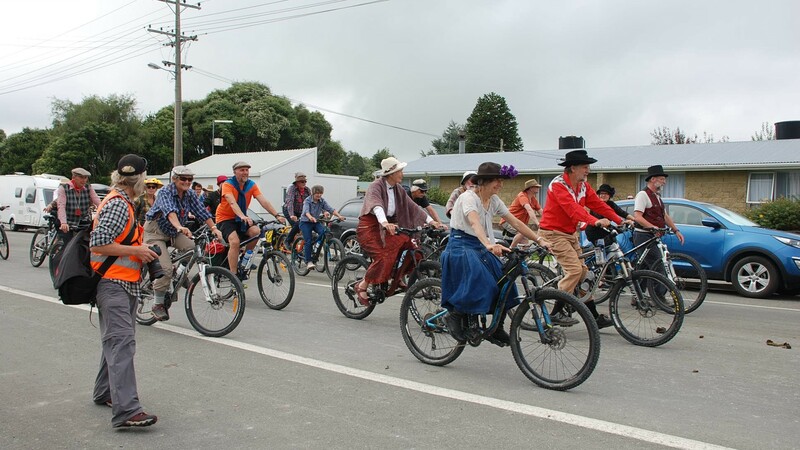 Walking Trails became part of the Cavalcade in 1994 and now bike trails have been added. 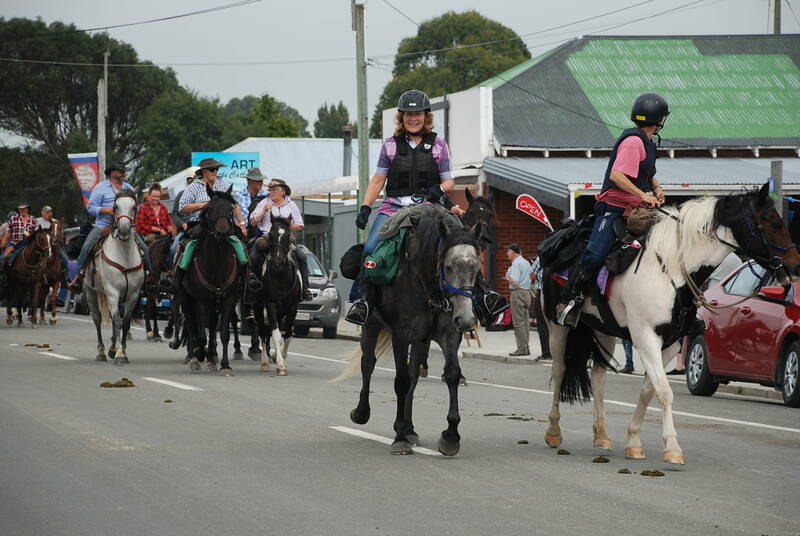 The event runs for about a week, before ending with a parade etc at the destination town. 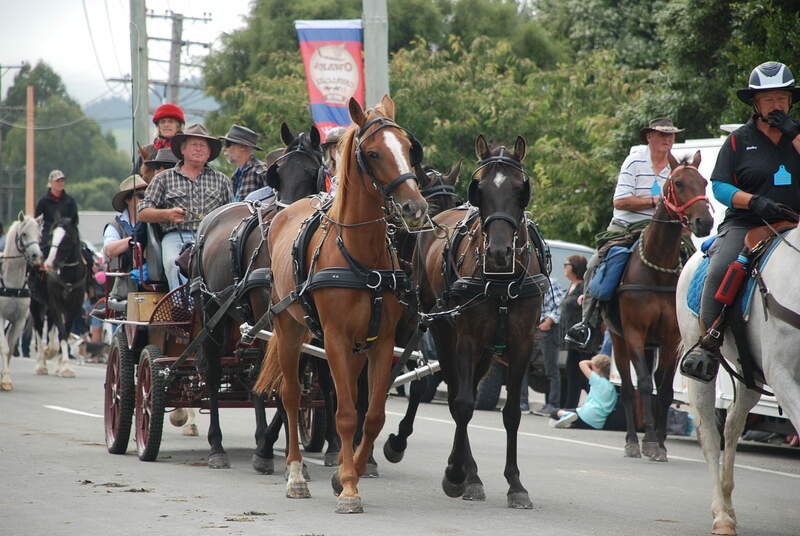 See the Goldfields Cavalcade website for more information. 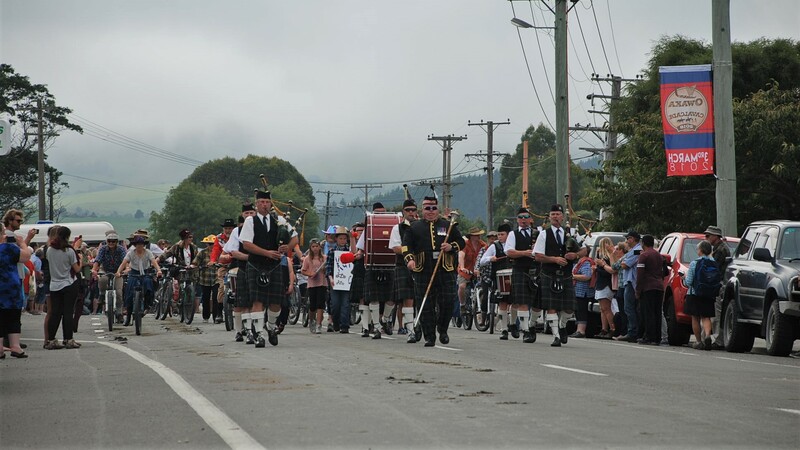 A misty morning – the pipe band leading the procession, behind them beautiful horses pulling wagons and carrying happy riders. 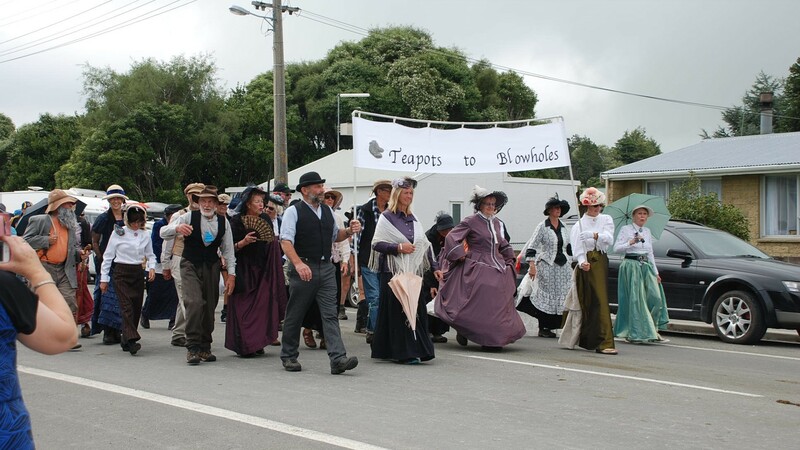 The Cavalcade will travel to Hawea for next year’s 27th Goldfields Cavalcade. 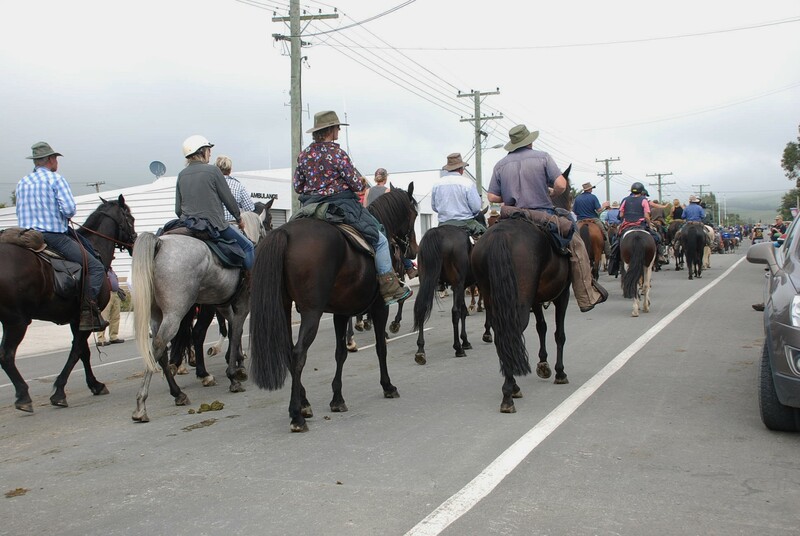 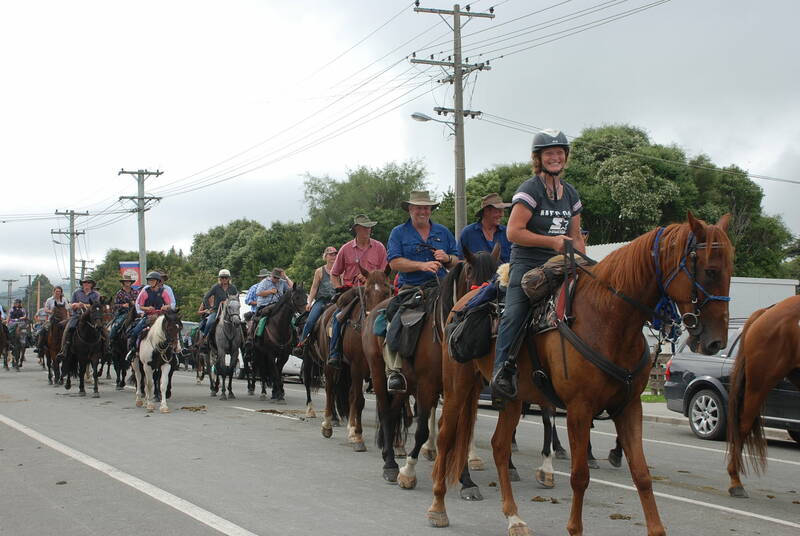 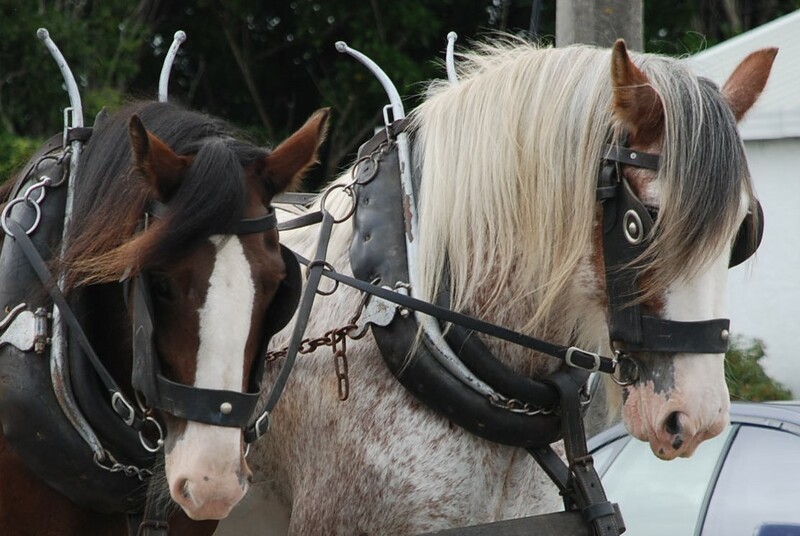 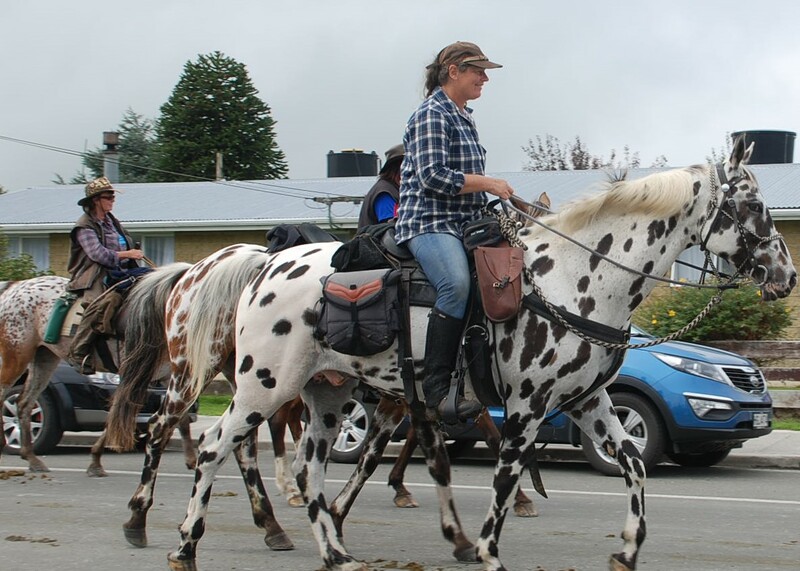 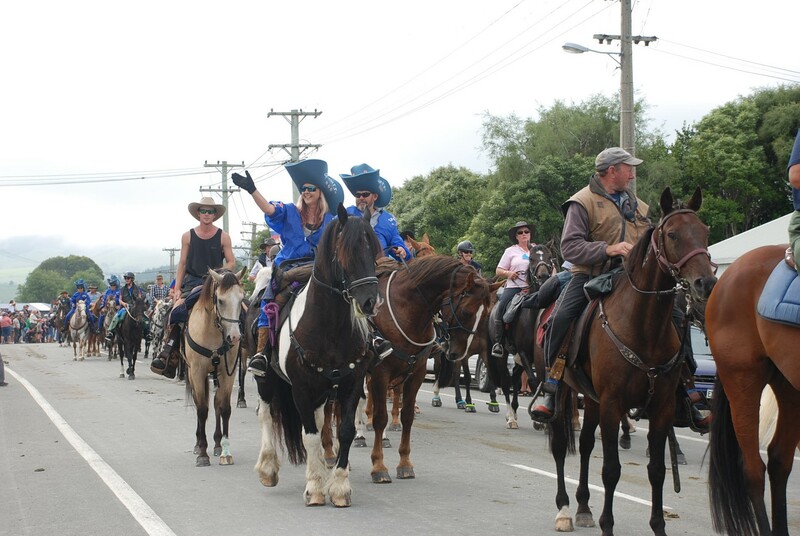 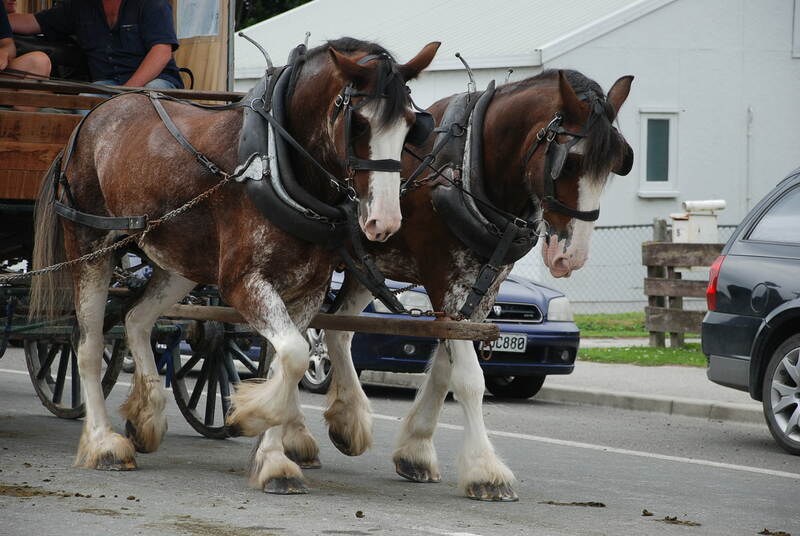 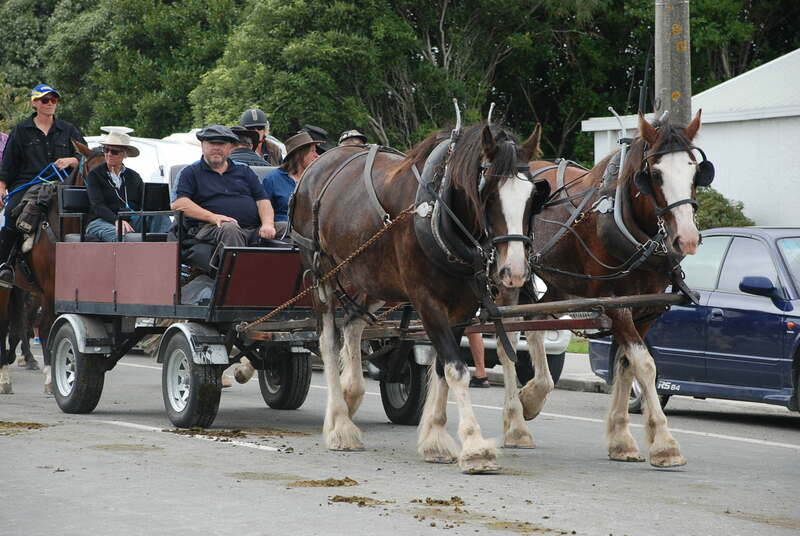 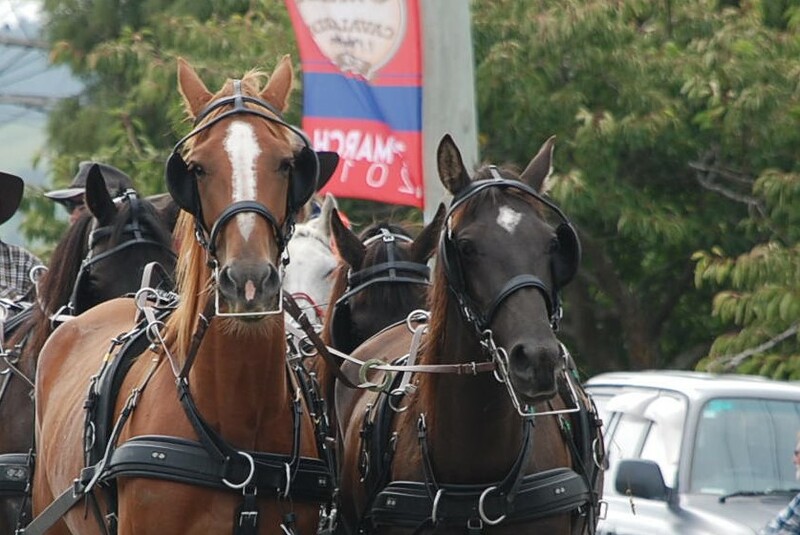 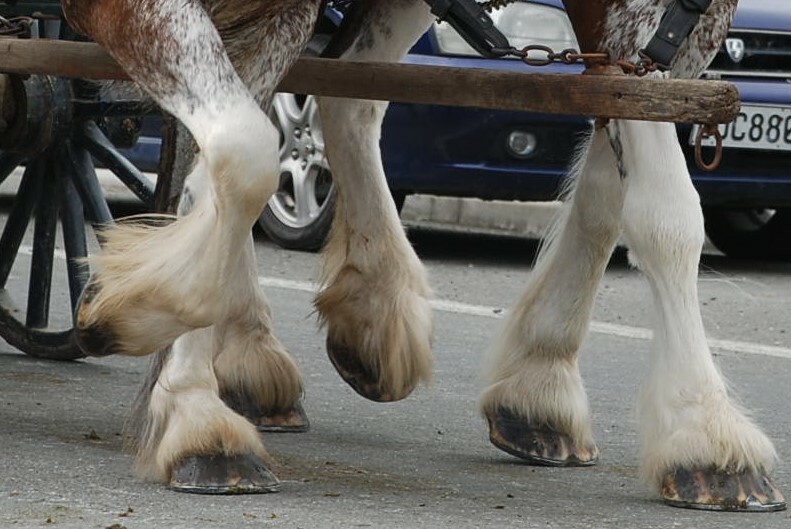 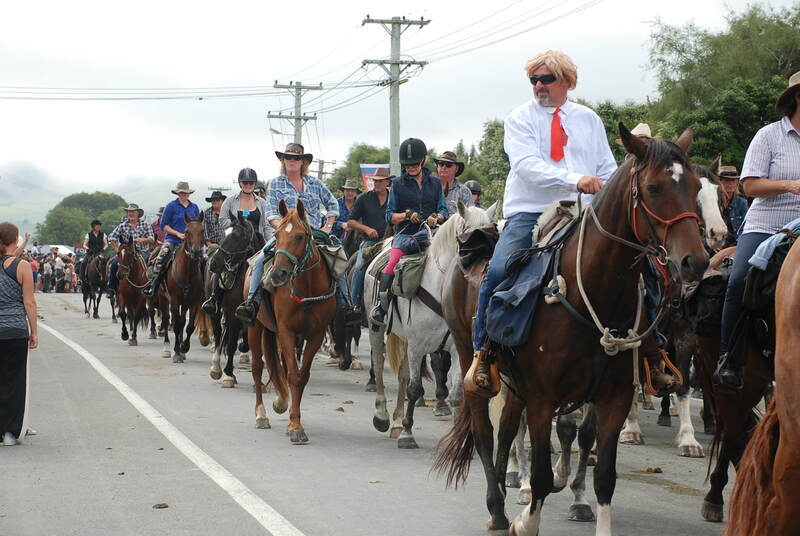 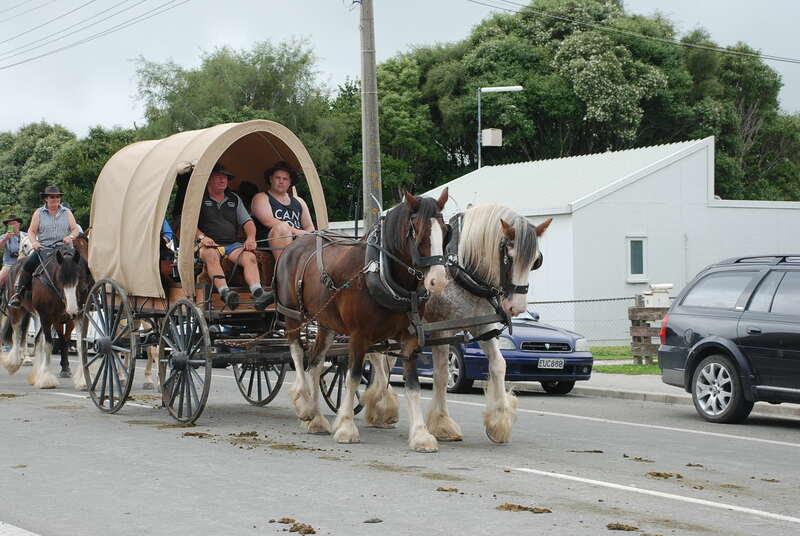 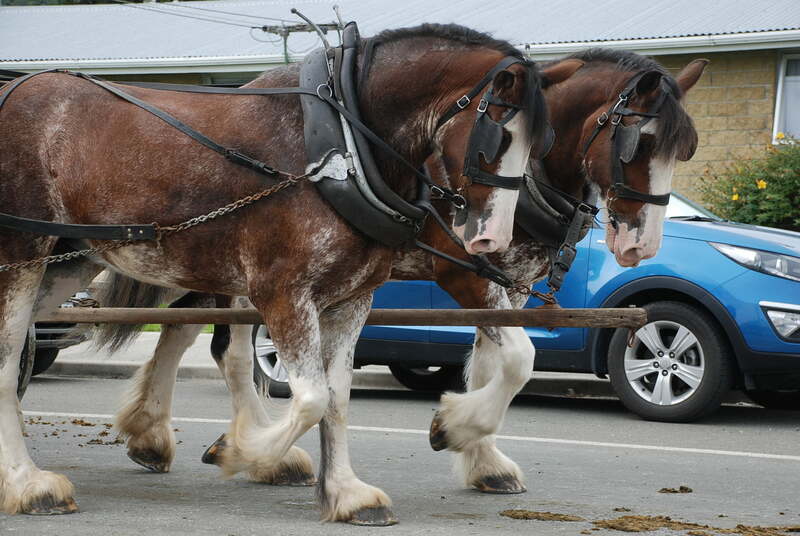 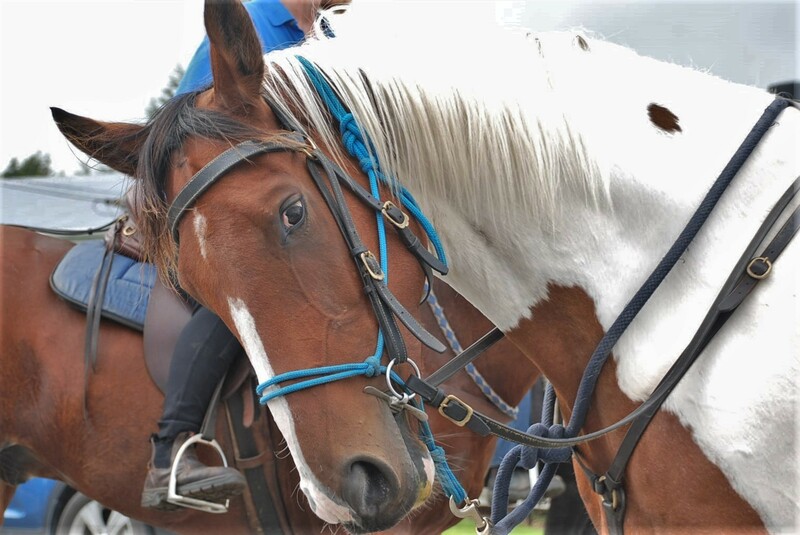 Be there early to enjoy the entertainment and market stalls from 10 am with the Grand Parade at midday, which will showcase all the horses, wagons, riders and walkers who have been travelling back country, around the goldfields heritage trails for more than a week to reach destination Lake Hawea.